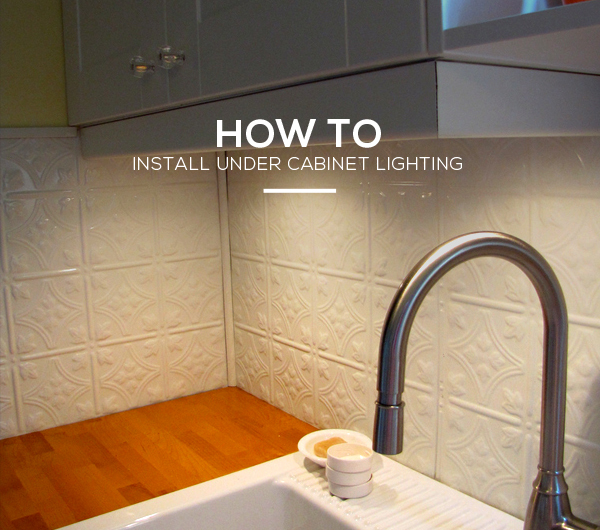 If you wish to add some attractive and subtle supplemental lighting to your kitchen, here is a basic guide for how to install under cabinet lighting yourself in just a few fairly easy steps. It does not take an extensive amount of know-how, but you will need some general knowledge regarding electrical circuitry for the hardwiring process. Fluorescent lighting is most commonly used for under cabinet lighting because they are energy efficient and provide ample light without producing very much heat. Step 1: Make sure that the appropriate power source is turned off at the circuit breaker and that anyone else in the house knows you are doing electrical work before you begin. 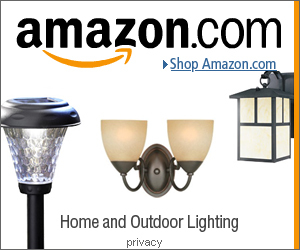 Locate the nearest electrical junction box that you can tap into to power your new lighting. Check the amperage of the corresponding circuit breaker to be sure it can handle the addition (the load should never exceed 80 percent of the breaker rating). Step 2: Before installing the switch, first use your stud finder to choose an area between studs where you can place your switch. Then, measure from your countertop up to the center of any existing outlet or switch above the counter. Align the switch box with your measured mark and trace around it with the pencil. Cut the opening using your drywall saw. Step 3: Drill a hole into the backing of the cabinetry through which you can feed the wiring. Fish the appropriate electrical cables from the power source to the switch opening you just cut and another through the hole you made in the back of the cabinetry and to the switch opening. Pull the wiring through the switch box, secure them with a wire connector, and secure the box to the wall. Step 4: Use the cable ripper to clean off the wires and the wire stripper to remove about three quarters of an inch of the insulation from the ends of the wires. If you do not know how to hardwire under cabinet lighting, you may opt to either find an instructional guide or have it installed professionally to avoid any serious damage. Step 5: Take apart the fluorescent lighting fixtures and attach the back plates to the bottom of the cabinetry with wood screws. Pull the cables through the fixture’s knockout and secure. Again, prep the cables for connection and, if you are not comfortable with your electrical knowledge, consult a guide or an electrician. Step 6: Once all your fixtures have been installed and properly wired and secured, connect the wiring back to the source junction box using a cable connector. Ground the new cable with the other ground wires. Connect all like-colored wires (white-to-white, black-to-black, etc.) and cap and electrical tape each connection. Replace the junction box’s cover plate and you are ready to turn the power back on and test your new kitchen under cabinet lighting.